This is a really quick and easy way to create a cute headband for yourself. Its even No Sew which is amazing. It takes 15 minutes top to make. To make your own headband you will need to follow these easy and quick steps. 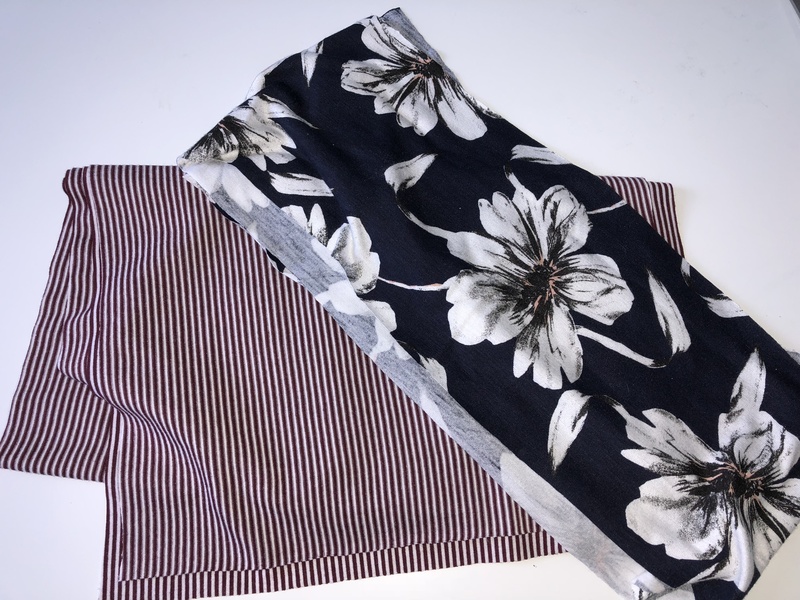 Pick out the fabric you would like to use. A 1/4 of a metre will make 2 headbands. I got mine from John Lewis but I know Joann’s has lots if you are in America. Online shops like Higgs and Higgs have some cute jersey fabrics too. 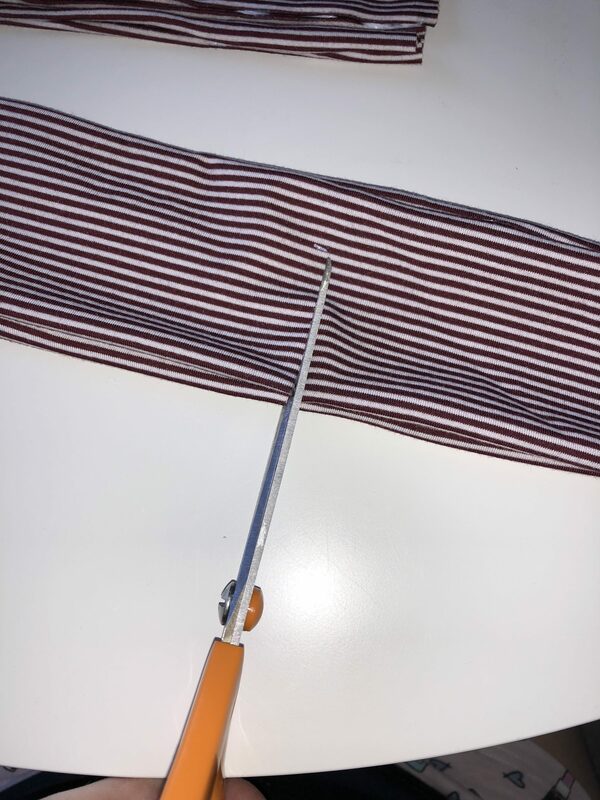 Cut the fabric long ways in half. Pin the fabric in half you aren’t comfortable to cut free hand. 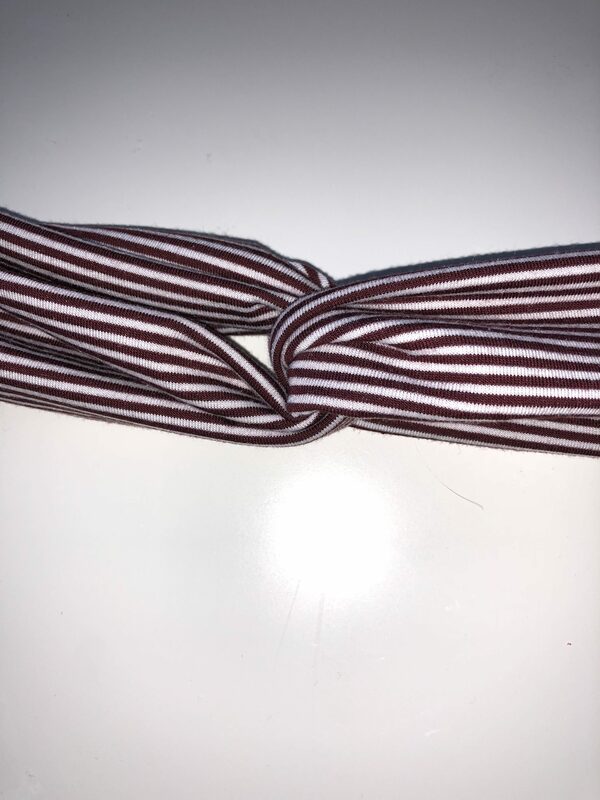 Once cut in half, place one piece to the side (can be used on another headband) and hold the other in half again. 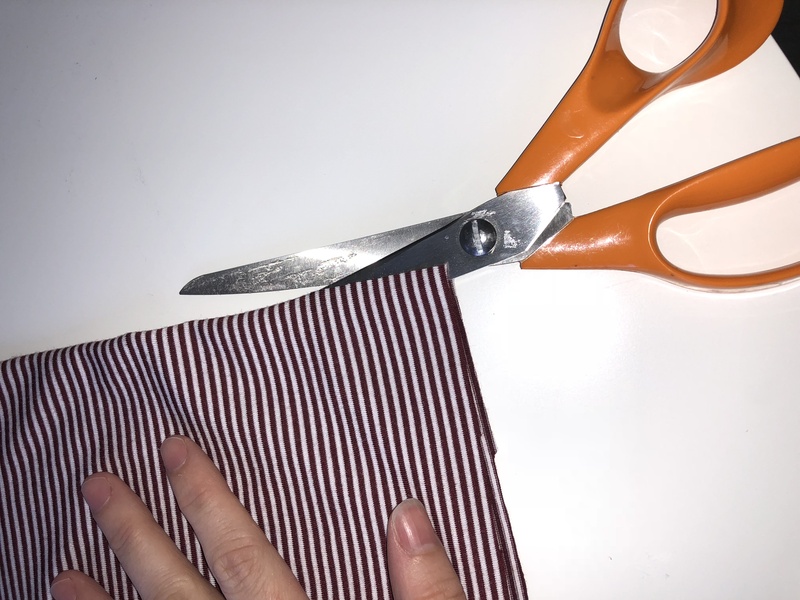 Cut this to create the 2 pieces you will need. 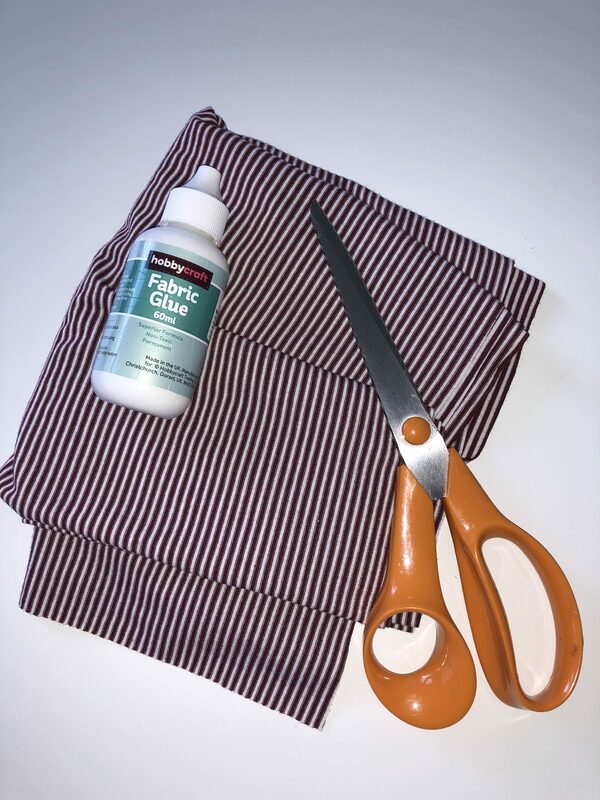 For both of the pieces of fabric, use fabric glue and fold the fabric sides together. 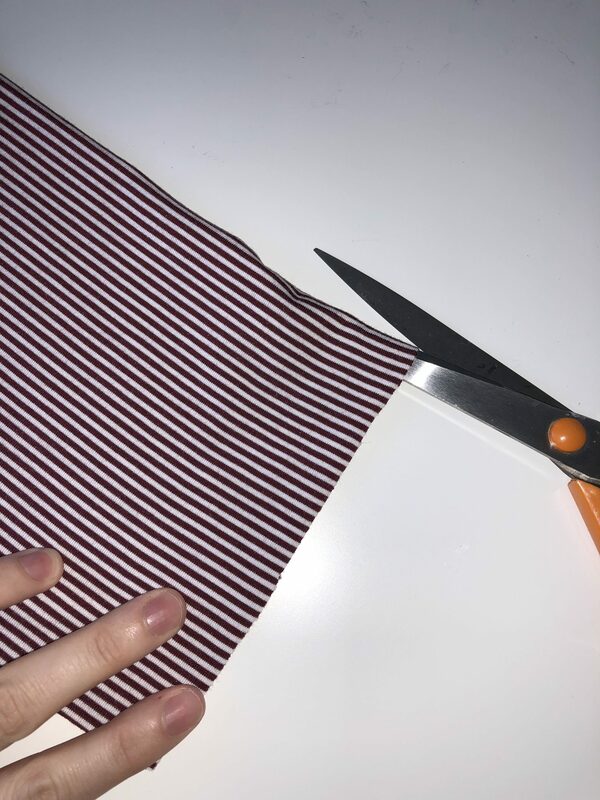 Fold the edges in for neatness and letting the sides stick together. If you want to follow the video steps of gluing each side together you can. 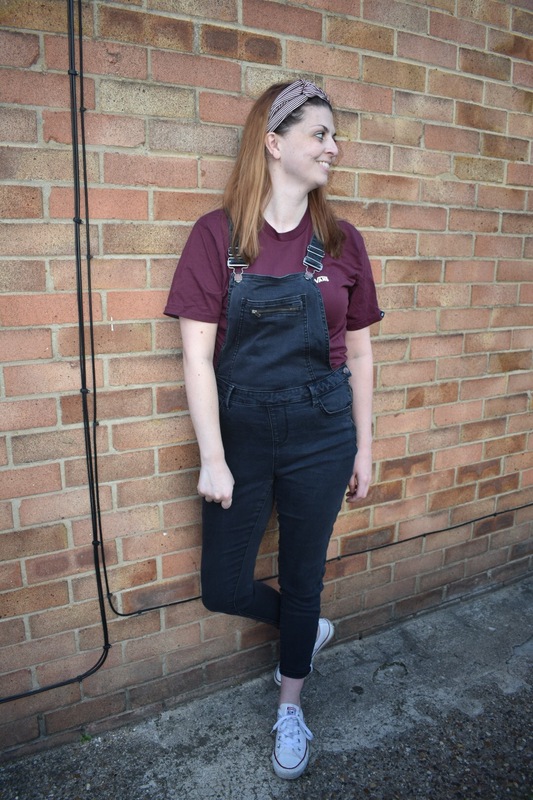 Alternatively you can sew the sides together. 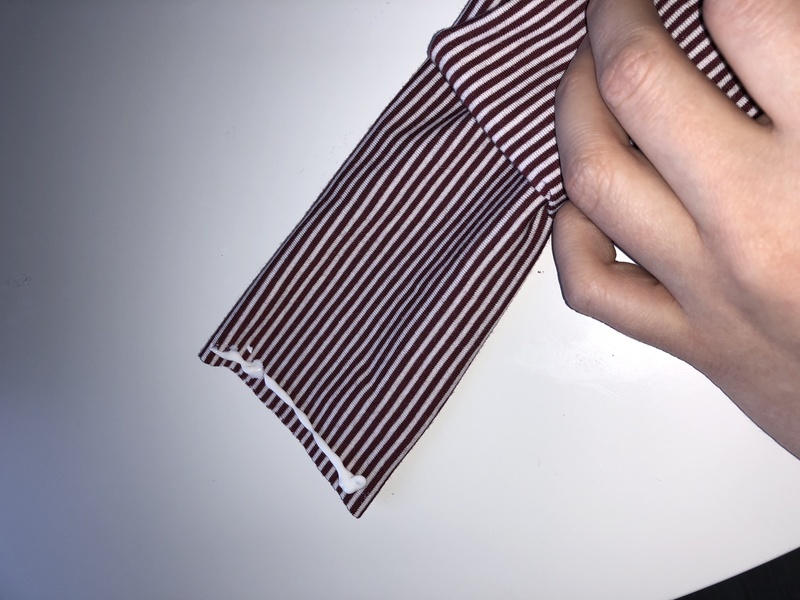 Take both pieces of fabric and fold in half. 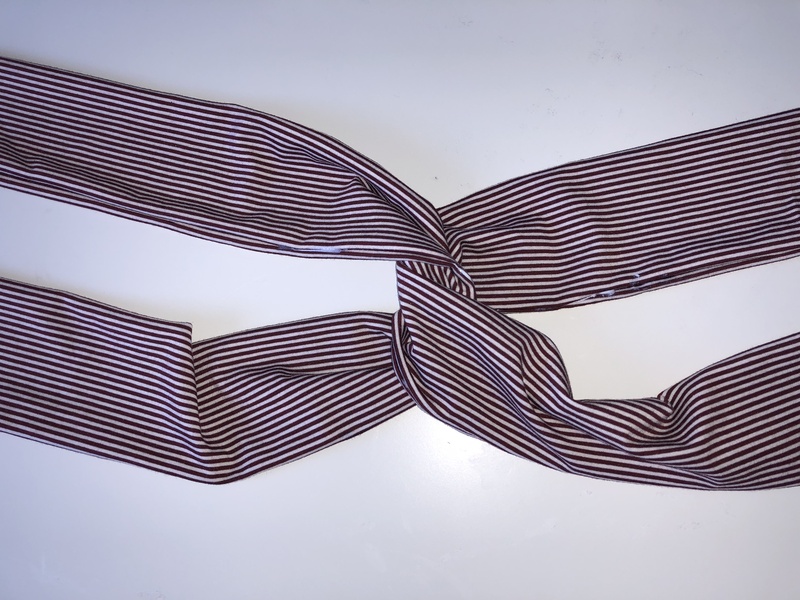 Then cross the fabrics over each other to link them forming a cross. 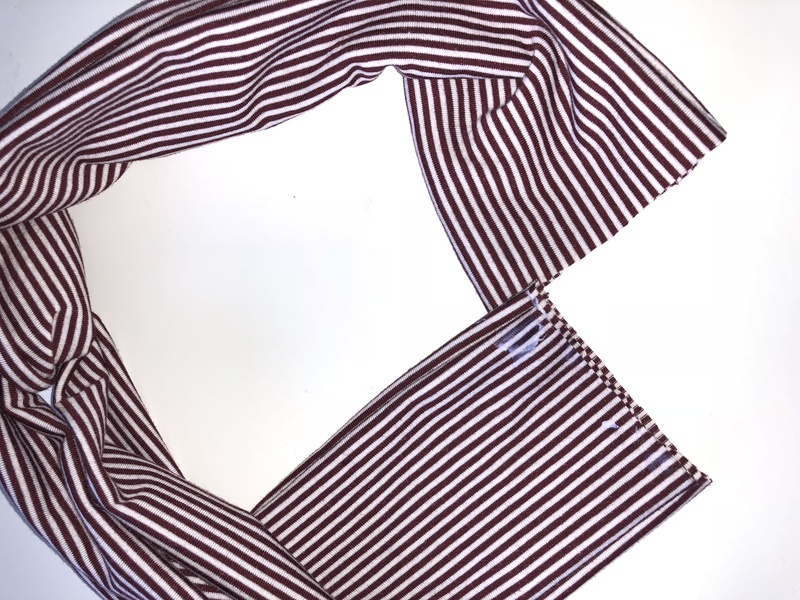 Take the ends of the fabric and place round your head to measure fit. Hold the fabric in place and mark where needs cutting. Cut just below the point where you measured. Make sure the cross over looks how you would like it to be. Glue each end of the fabrics together on each side. 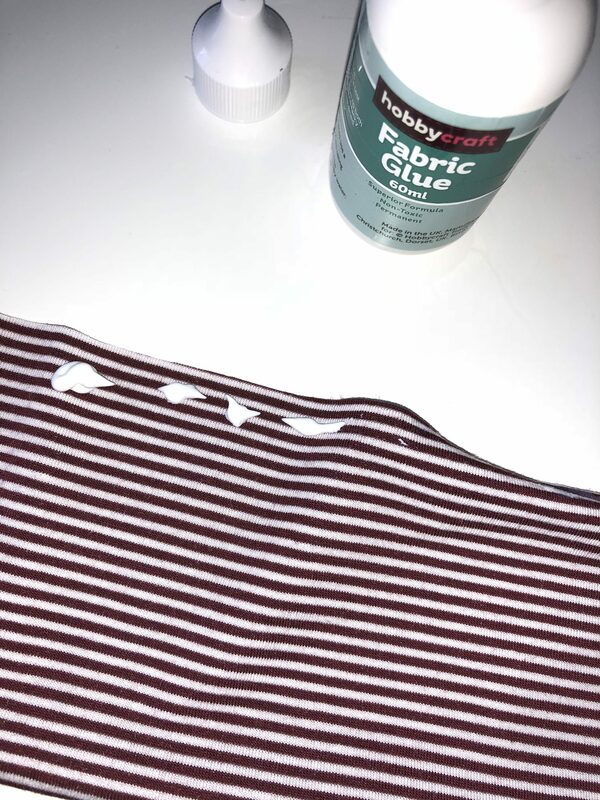 Loop the pieces of fabric together in a circle and glue together. If you feel it needs more support add extra glue or hand stitch a row or two. Leave to dry for about 10 minutes and you are good to wear it. 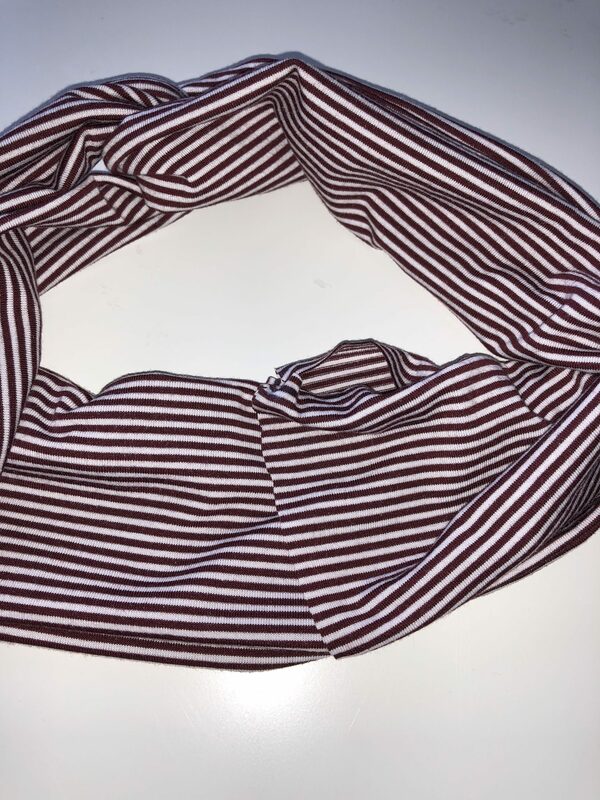 So there you have a quick easy no sew cute headband. Mine cost me under £5 thats nothing. 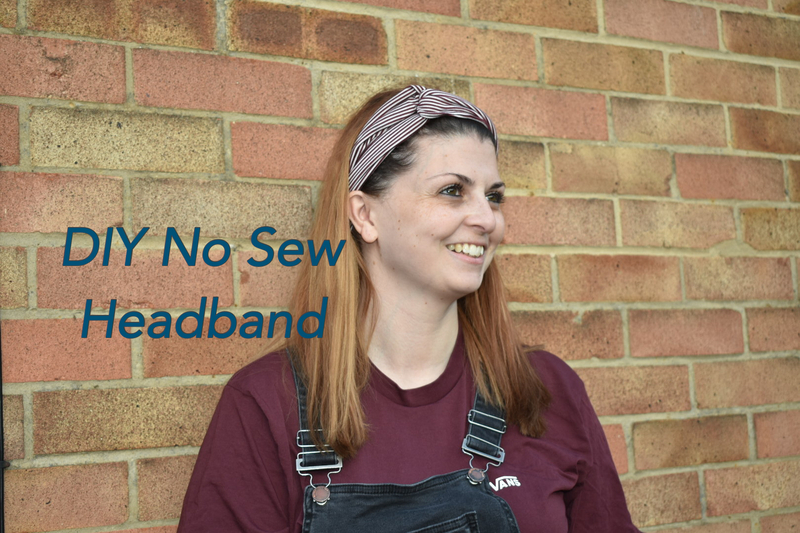 I have also made another quick and easy no sew headband on my youtube channel if you’d like to make this with your leftover fabric. Both are super cute and I love both of them. I would also say that you don’t have to be very creative to make these they are super easy to make. Let me know if you make one or both of these, if you do I would love to see photos of your creations so please tag me in them on Instagram. What is your favourite thing to craft? thank you. I can’t wait to see your creations. Thank you, I can’t wait to see your creations.